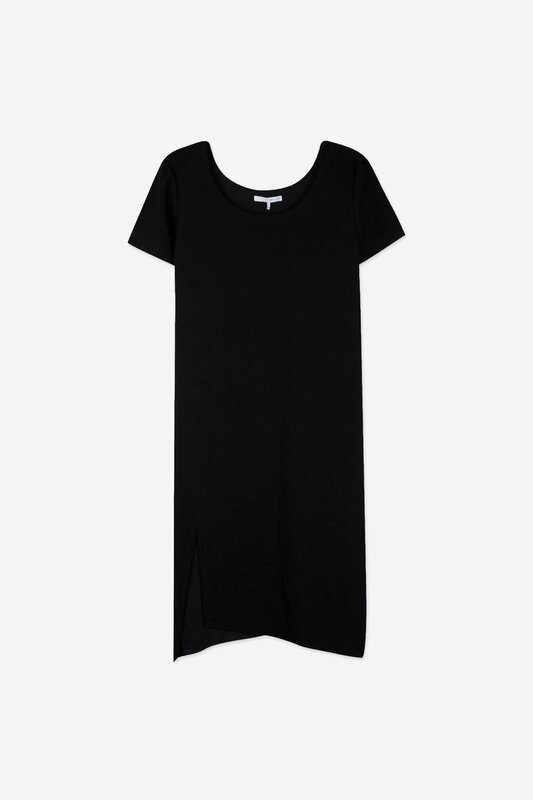 This effortless dress takes the classic little black dress and gives it a slight, casual twist. Featuring a scoop neck and an asymmetrical hem with a slit, this dress is crafted from a crepe-inspired fabric that adds elegance to the piece. Pair with sneakers for an everyday look.